Six acclaimed Toronto pianists are set to perform a benefit concert celebrating the 25th+ anniversary of the House of Compassion of Toronto on Wednesday, September 23, 2015 - 7:00 pm Yorkminster Park Baptist Church 1585 Yonge Street (2 blocks north of St. Clair Avenue N/E corner of Yonge and Heath)in Toronto, ON. These celebrated pianists will perform a captivating program including works by Schubert, Debussy and Gershwin. Following the concert there will be a reception and an exhibit of artwork by residents of the House of Compassion. All proceeds to support the House of Compassion. Master Class Players is a group of six professionally-trained pianists who met several years ago in a community outreach performance master class given by Boyanna Toyich of the Faculty of Music, University of Toronto. 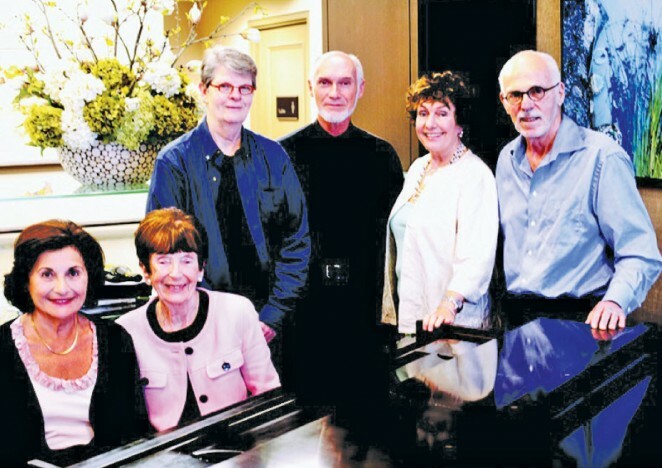 Following years of intensive studies in piano in their youth, most pursued careers outside music, returning to their primary discipline and first love in later life. MCP regularly volunteer their public performances to libraries, hospitals, seniors' residences, as well as other fundraising and charity events. For more information, please contact jwearing@sympatico.ca. House of Compassion of Toronto provides a permanent, supportive home to adults living with severe and persistent mental illness. Their goal is to end the revolving door of homelessness and institutionalization that most of their residents have experienced. HOC offers staffing support 24/7 and a community in which safety, acceptance, and hope are fostered. They support people to live in the community successfully despite the challenge of living with the symptoms of mental illness.